In September 1956, Life Magazine published a Photo Essay called The Restraints: Open and Hidden. The photographs, by Gordon Parks, show the everyday comings and goings of an extended family in rural Alabama: A woman holding her great grandchild, children playing by a giant tree, an elderly couple posing for a portrait, people outside of stores or in their homes. 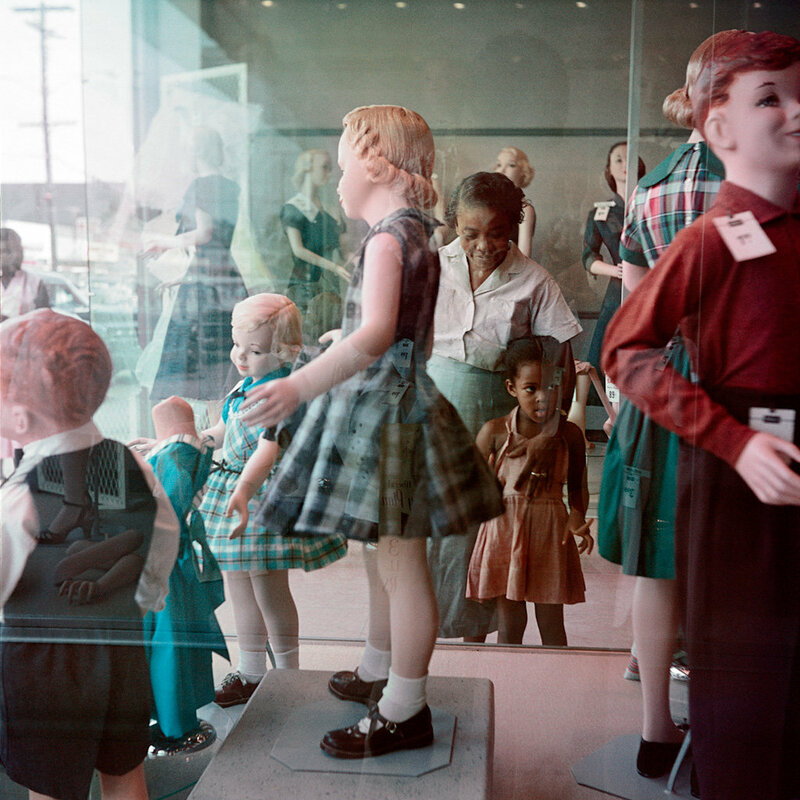 These are civil rights-era photographs, and they’re like nothing I’ve ever seen. The images of this era that I’m familiar with, some of them taken by Parks himself, are black and white, and they’re full of drama and tension and import. They show great men and women doing great things. Park’s pictures for this photo essay are in color and they show ordinary people doing ordinary things. They’re glowingly beautiful, vibrantly pretty. They’re almost defiantly colorful. You can almost imagine a world in which “colored only” didn’t refer to a hateful and demeaning discriminatory practice but to the flowers on a little girl’s dress. I suppose it’s easier to understand a historical situation, to empathize with people that lived in another time and another place if we relate to them. Looking at these pictures we’re reminded of our grandparents, our parents, our children or ourselves as children. “Mrs. Causey, a teacher in a ramshackle one-room schoolhouse in Shady Grove, Ala., was quoted in the piece as advocating integration as “the only way through which Negroes will receive justice.” One of the most outspoken members of the Thornton family, she helped to organize voter drives and teach community members the Bill of Rights, the recital of which from memory was a prerequisite for African-Americans to vote in many Southern states. 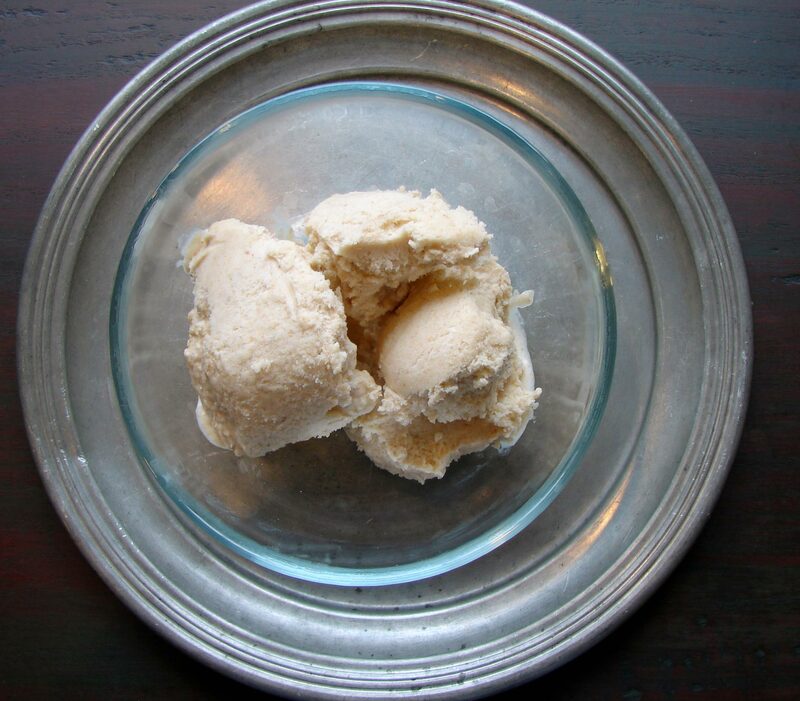 It might seem crazy to make ice cream in January. 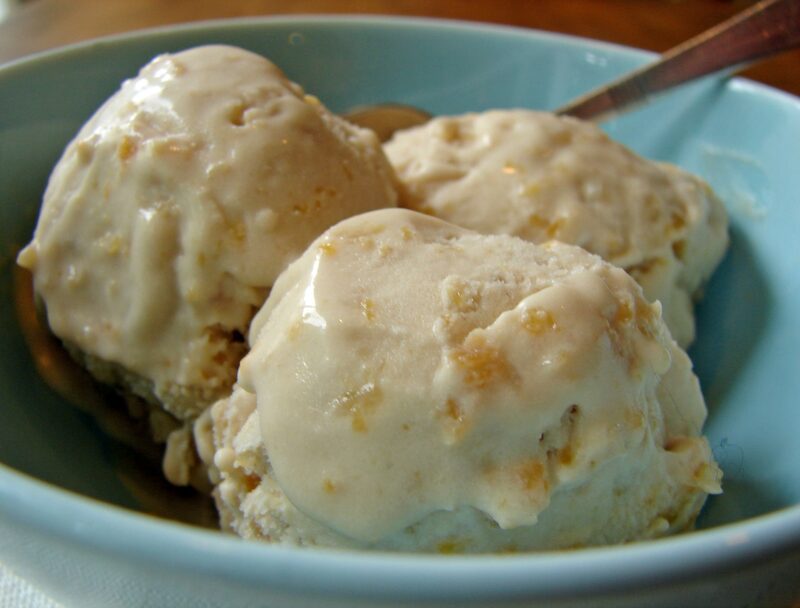 But this ice cream is like a small blast of summer–warm and sweet and tart, with little crunchy deposits of pecan praline. It’s not hard to make, and it’s very easy to eat!! Here’s a scene from Gordon Park’s film The Learning Tree, which he wrote, directed, produced and scored. So today’s interactive playlist is HEY songs. My readers recommender friends will recognize that I’m plagiarizing my own ‘Spill post from some years ago, but, hey, it’s a good topic, and I wanted it in my collection of playlists here on The Ordinary. I’ve added some ‘Spillers suggestions from that time. My non reader recommender friends will have no idea what I’m talking about. ‘Spill? What’s this ‘Spill? I love champagne mangoes, so smooth and sweet and almost piney. I bought one a while back, and I kept waiting for just the right moment to eat it, and as so often happens, I waited so long that the moment passed, and it was too ripe. So I made it into ice cream. 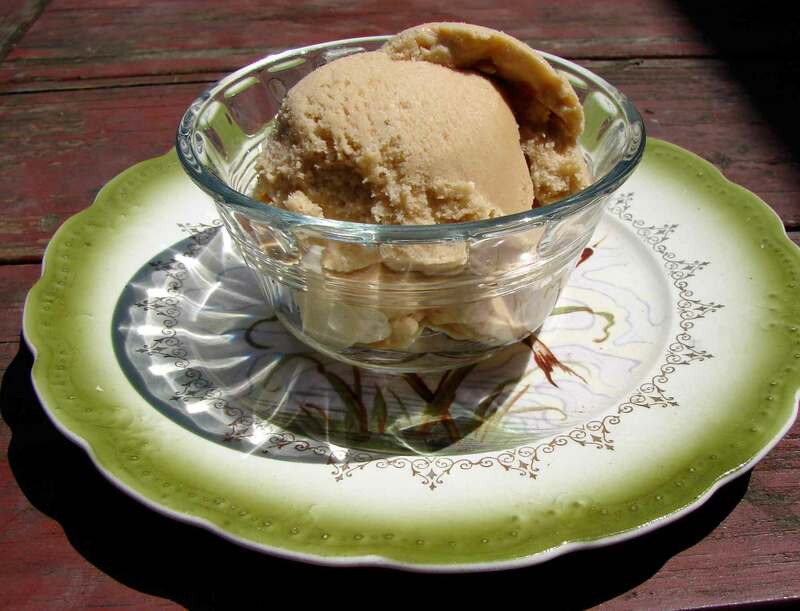 I made a spicy ice cream, with cayenne and ginger and cardamom, because I love the contrast of spicy and creamy-cool. I cooked the mango with the milk, which made it taste almost like bananas somehow. I think you could probably just puree it and add it raw. I’ll try it sometime, and let you know how it goes. Here’s your link to our interactive HEY! playlist. Add what you like, or leave a comment and I’ll try to add it when I have time. “What kind of ice cream shall we make?” I asked Isaac. “Carrot ice cream!” He said with a giggle. Little does he know that I actually plan to make carrot ice cream some day! Watch this space! In the end, after considering the fragrances of lots of jars from the spice cabinet, he decided on a few sweet spices, plus some chocolate chips. Cinnamon, a touch of nutmeg, and a touch of ginger. And we ground up the chocolate chips a bit, so they’d be nice and melty in the ice cream. Delicious! The words “ice cream” always makes me think of this scene from Down by Law. Jarmusch is probably my favorite American independent filmmaker, for reasons that should be obvious when you watch the clip. I could go on and on about why I like his filmmaking, but I’m late for work, so I’ll tell you instead about the music. In each of his films, I’ve discovered music that has become some of my favorite music ever. From Tom Waits in Down by Law, to RZA in Ghost Dog, to Mulate Astatke in Broken Flowers, watching Jarmusch’s films has added immeasurably to my musical library. So here’s a short playlist of songs I’ve discovered from his films, to listen to while you wait for your ice cream to freeze! I’m absurdly excited about this! I feel like it’s a major culinary breakthrough! I’m sure that either people have been doing it for centuries, or there’s some reason they haven’t that I’ll discover eventually, but for now I have a new medium to explore. As I’m sure you’ll recall, on the last episode of As The Ordinary Turns, we made apricot cassis pastry cream to accompany a cake. Well, there was quite a bit left over, and the mad scientists of The Ordinary developed quite a fiendish gleam in their eye. They headed into the kitchens with their bowl of pastry cream, ready to hit it with their freeze ray!! I love ice cream, I’ve said it before and I’ll say it again. It’s my favorite. My first and longest lasting job (to this day!) was as a soda jerk. I recall, back in those days, I noticed something interesting about the various brands of ice cream we carried at the ice cream parlor. Some turned nice and creamy and smooth as they melted, some melted into a weird sticky jelly-like substance. 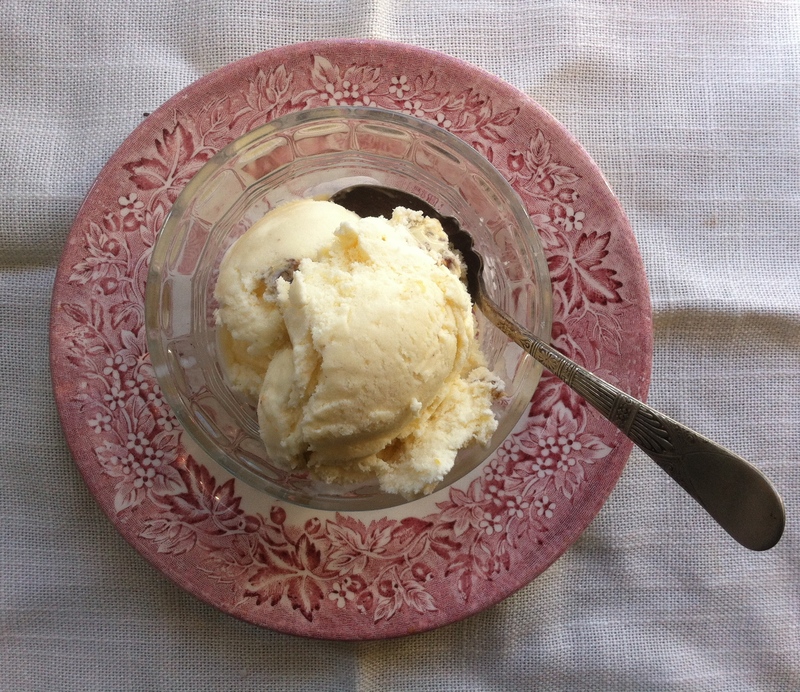 Since those days, I’ve made my own ice cream, many a time, and I’ve always had trouble making it thick and creamy. It always melts into something like milk. Well, here was a conundrum. How to thicken it without adding guar gum or carageenan or whatever else commercial companies add? A few months ago, when I discovered pastry cream, and developed a little admiring crush on the creamy substance, I began to ponder the possibility of freezing it. 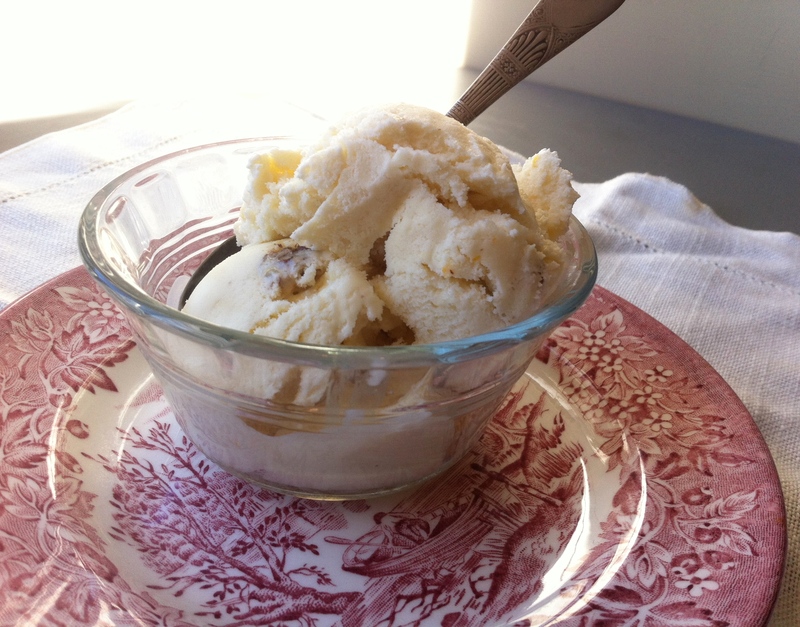 When you make ice cream, you generally start with a custard, and then you add unwhipped heavy cream. (At least that’s how I’ve always made it.) What is pastry cream but a thicker, more substantial custard? Why shouldn’t it freeze nicely? And why not lightly whip the cream before you add it, for an even creamier texture? So that’s what we did. It worked!! It’s thick and creamy. You can actually scoop it with an ice cream scoop, and it stays in a little ball!! I’ve never been able to do that with home made ice cream!! I use an old donvier ice cream maker, but I wonder how this would work on a more fancy one. I’ll have to try it some day and find out – there are so many different flavors to try!! **update** We tried this again last night, but we didn’t whip the cream before we stirred it in (Malcolm’s suggestion). It might have turned out even creamier. If you whip the cream it’s like a frozen mousse, which is nice, but if you don’t, it might feel more like authentic ice cream. Nice both ways! Here’s Ice Cream Man by Jonathan Richman. This is a story of redemption! This is a story of ice cream that lost its way, somewhere on the journey, but found it again to become glorious. (And was then eaten.) It started out with so much promise. A lovely brown butter caramel was made, and it was worked into a custard that thickened and didn’t curdle. Good custard! Obedient custard! And then it sat in the fridge all day in a spacious bowl, getting nice and chilled, just like you hoped it would. But when you tried to put it in your little antiquated ice cream maker, it was all, “Whatever, I’m not going to freeze! That’s so totally uncool!” You tried a few times. You coaxed it, you tried to talk its language. To no avail. So, in despair, you set it aside. And it spent some time in the cold dark underworld we’ll call your freezer. Hobnobbing with the ne’er-do-well frozen peas, the reprobate frozen waffles. Chilling story! The next morning, faced with the harsh light of day, the ice cream was a mess. Weirdly icy in the middle, with a strange sugary coating on top. Well, we’ve all been there. We all know what it’s like the next morning. But you gave it what for! You worked it up good! And what you had before you, after a rigorous workout, was a creamy, slightly icy confection that you really needed to eat three bowls at a time. So! 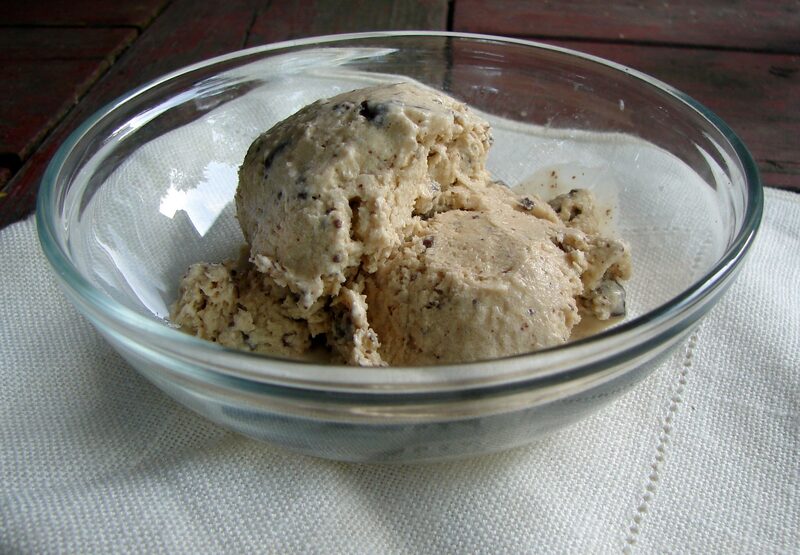 If you have a regular functioning way to make ice cream, you don’t need to go through all this drama. You can just make the ice cream. I started by browning some butter; added the brown butter to some brown sugar; cooked till it was bubbly (but not petrified); made that into a custard, with the slight addition of a tablespoonful of tapioca flour. To thicken and preserve against curdling. You could easily leave this out or add the same amount of cornflour. I added chocolate chips, but I processed them first in my tiny food processor. 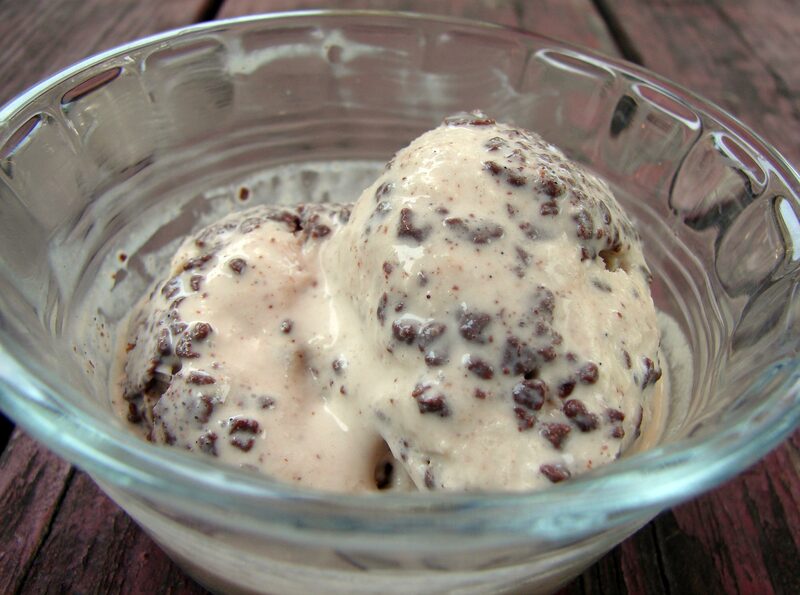 This meant that you had some solidly chunky chocolate pieces, and some pieces of flaky chocolate “dust.” I think this was one of the absolute best things about this ice cream!! You could also just chop the chocolate chips with a big knife, and be sure to include all the little gravelly bits, if you don’t have a processor. Warm the butter in a small saucepan over medium heat till it’s toasty and brown. (Ten minutes?) You’ll have brown solids on the bottom of the pan. Strain through a paper towel, collecting the brown liquidy part in a clean bowl. Put the brown butter back into a saucepan with the sugar, and heat again at medium heat till the sugar is melted and boiling away. After about 1 minute of boiling, take it off the heat. In a small bowl, combine the tapioca flour with a bit of the milk. Whisk to mix well. Pour this mixture into the rest of the milk, and pour it all into the sugar/butter combination. Whisk it all together until it’s well combined, and add the vanilla and the salt and cinnamon. In the same bowl, whisk the eggs till they’re light and fluffy. In a slow stream, add the warm milk, whisking the whole time. Then pour the whole mix back into the saucepan, and cook over low heat, whisking the whole time, for about 10 minutes. You don’t want to let anything boil, or the eggs will curdle everything. After 10 minutes, it will just leave a light coating on the back of your spoon. Pour it into a cool bowl, cover, put in the fridge, and leave for 5 hours or over night. When you’re ready to freeze it…process 1 cup of good bittersweet chocolate chips for about a minute, till they’re mostly in tact, but they have some flaky dusty bits of chocolate all around them. Stir this into your custard, stir in the heavy cream, and then freeze according to your ice cream maker’s instructions. I shook a bit of sea salt in before freezing as well! 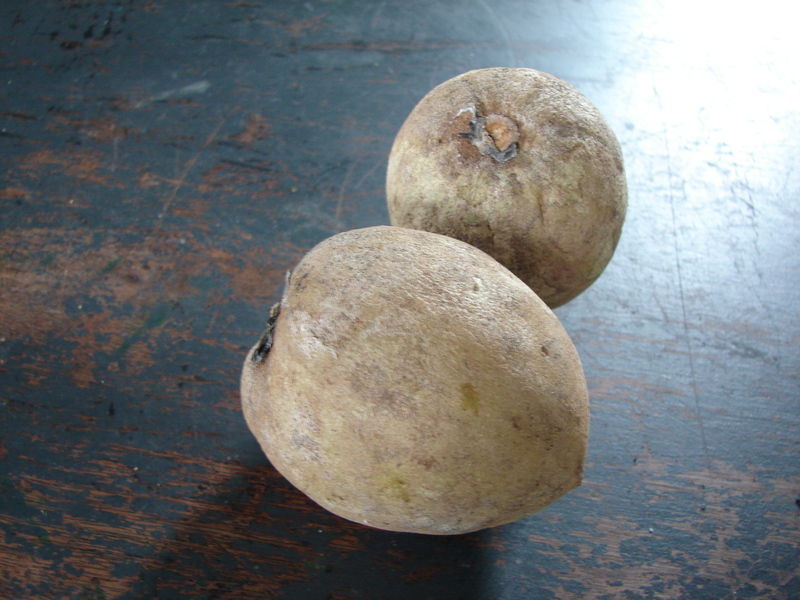 Chikoo (also called sapota) are not the prettiest fruit.They’re brown and mottled and slightly furry. I’m not sure what possessed me to buy two of them on our super-bodega traveling trip to Patel’s Cash and Carry. Yet buy two I did. I’d never heard of chikoo fruit, I had no idea what they tasted like or how to use them! Therein lies the very heart of the edgy and exciting fun that is super-bodega traveling! When I researched the little fruits, you cannot imagine my excitement to learnt that they are exceptionally sweet and malty, and that they taste like caramelized pears! Can you even imagine?!? Why don’t we eat them all the time! So I brought my two little chikoo fruits home and waited for them to grow nice and soft, and I schemed to make ice cream with them, because it seemed like a nice way to let the flavor shine through against a simple yet tasty and creamy canvas. I cut into the first chikoo fruit. Very pretty, soft amber flesh. Crazy looking spiky shiny black beetly seeds. First taste – swoon! They’re delicious! I cut it into a bowl. I cut into the second fruit. A little firmer and paler. Took one very small bight. Tasted fine, but seconds later, my entire mouth was dry as can be. Turns out when they’re not ripe, they’re astringent. D’oh! So I had one little chikoo fruit to flavor the near-quart of custard and cream I had incautiously concocted. I tried to think of other things I could add. I let it sit in the fridge. I fussed and stressed. And then David wisely said that if the whole idea of the ice cream was to showcase the chikoo fruit, obviously, what was needed was more chikoo fruit. We had the nicest impromptu afternoon adventure! We stopped to look for ebony wood. We went to an antique store. We went to Patel’s Cash and Carry, and I bought even more inexplicable produce! I bought frozen chikoo fruit. I bought a can of chikoo fruit, and I bought 4 very very ripe actual chikoo fruits. We can’t afford to go out to lunch at the moment, but we bought two fresh fat 79 cent samosas, which tasted as nearly perfect as you can imagine. So I added the pulp of 4 more chikoos to my chikoo ice cream. (Minus the pieces that Malcolm, now a fan of the chikoo, snuck from the bowl). It turned out very very delicous! It did taste malty and caramel-y, with a lovely sweetness and a pleasing texture. And I still have frozen and canned chikoo fruits to fuel my future scheming! This song Deewangi Deewangi was playing in the store when we selected our chikoo fruits. Yesterday my sons made a fort/pirate ship out of blankets on the couch. When I played this song, they both stood up at the helm of their ship, and did an instantly perfectly choreographed dance. Joy! I’m a huge fan of ice cream. I can’t think of a more enduringly perfect food. I worked in an ice cream parlor for an embarrassing number of years, long after I should have gotten a “real” job. I dream of ice cream flavors, I really do! So when I found myself with some dulce de leche, and then my mother-in-law brought us a bottle of drambuie (thanks, Ellie!) you could see the little wheels spinning madly in my head. And the one food I find completely irresistible is melting ice cream. There’s something about the contrast between the still-frozen part, and the increasingly creamy melty part that’s about more than the delightful textures. It’s about time passing! There’s a wonderful feeling of risk, almost – you want to take your time, but if you wait too long, it won’t be ice cream any more. There’s a perfect moment, or series of moments, when the ice cream must be consumed! I could eat a whole gallon of ice cream, in this state! 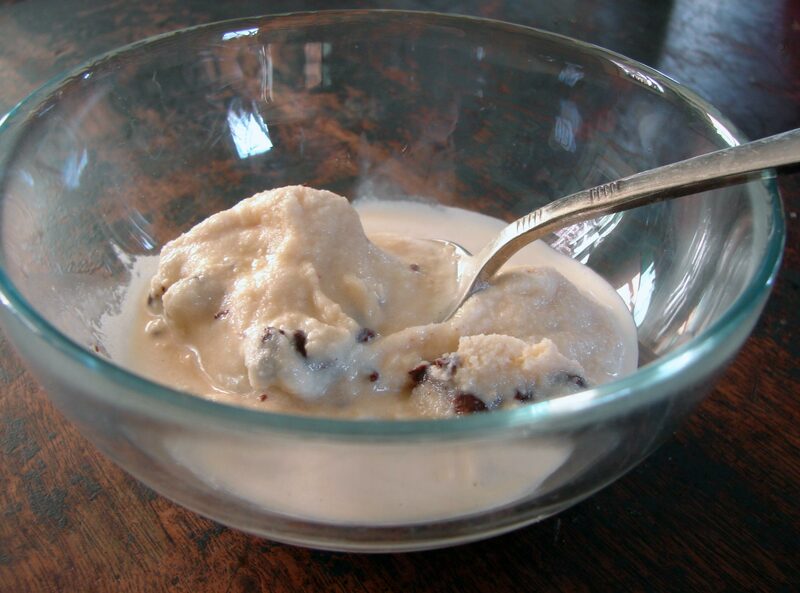 The thing about adding drambuie to ice cream, or any alcohol, for that matter, is that it preserves the ice cream in a perpetual state of perfect meltiness! It never freezes completely, so from the minute you scoop it out, you MUST EAT IT! I should probably mention that since the drambuie’s not heated, the alcohol doesn’t cook off. I wonder how much you’d have to eat to get drunk? Hmmm… We let the boys have small bowls after dinner, and they could still balance on their roller skates. But when Malcolm asked me for some at 9 o’clock this morning…well, I drew the line! I don’t have a real ice cream maker, I have one of those donvier ice cream makers. Remember those? Do they still make them? Anyway, it does the trick. I’ll give you the recipe, and you can freeze it however you like. Here’s Ice Cream man, by Tom Waits. This week was my son’s birthday. His favorite food is pizza, so for three days, he literally ate pizza for breakfast, lunch and dinner. I feel less guilty about this now that I know that pizza is a vegetable. My birthday is in June, and we always eat outside. We have a nice bottle of viognier, and good bread, good cheese, fresh tomatoes, fresh basil, olives… you get the idea. Another thing I like to have on my birthday is ice cream. Which made me think of this scene from Ghost Dog. It’s such a beautiful scene – and Isaach de Bankole’s character trying to persuade Ghost Dog that ice cream is really good for you (a nutritionist on the radio said it’s almost exactly like food!) reminded me of the current conversation about pizza. And Reagan-era catsup qualifications. Is there something you like to eat on your birthday, or a special day? What’s your favorite meal?